The Puppycom Smart Dog Training Course for training aggressive dogs is currently available at our Puncak Jalil Training Center and Ampang Training Centre. 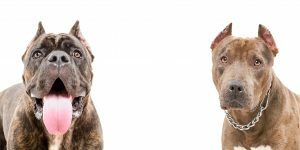 Generally the course is suitable for aggressive dog breeds such as German Shepherd , Belgium Shepherd, Rottweiler, Doberman, Pit Bull and more. The Basic Obedience Training needed for the control of your dogs. Teaching the owner to understand the aggressive behaviour and methods to address it. Socializing with other dogs and human is very close distance. WhatsApp to us to 6019-3256289 or Call us at 019-3256289 or 603.89449965 ( 6 lines ) or email us at info@puppycom.my for more information.